You know how sometimes you are walking through the grocery store, grabbing healthy options for your week and doing your best to resist the temptation of the candy aisle, and then when you look at your basket at the till you find that it has a bag of candy in it? And you have no idea how it even got there? But these randomly showed up in my shopping bag the other day and I figured it would be best for all parties if they were consumed as soon as possible. You know, to remove the temptation and all that. 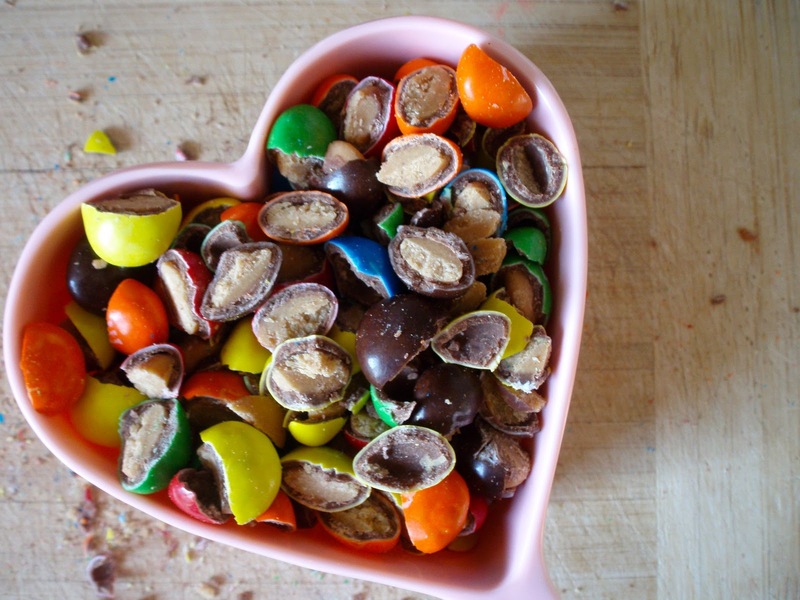 I figured the colourful candy shell would be ridiculously cute in cookie form, and pairing chocolate and peanut butter is always a winner. I used my favourite chocolate chip cookie recipe as a base, and added some chopped up peanut butter M&Ms and semi-sweet chocolate chips. I had some when they were still warm from the oven and they were unreal! I ate 6 in one sitting. 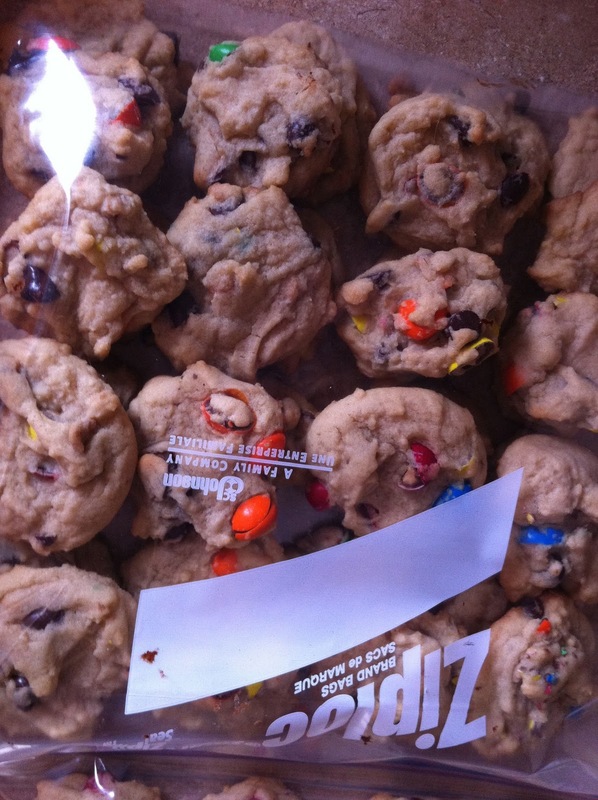 SIX cookies, in one sitting. And that doesn’t even count the rest of the day! oops. Good thing it is sweater season. Puffy sweaters are in fashion, right? please? 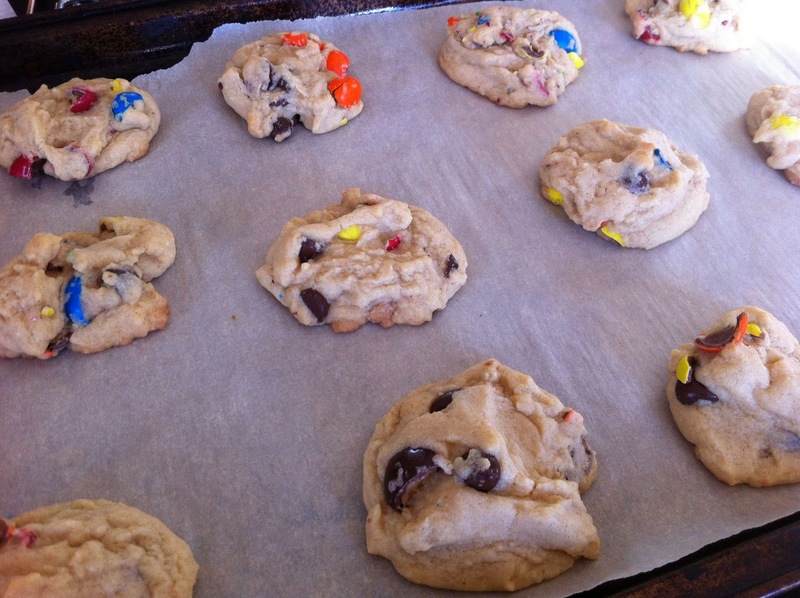 I made my cookies a bit smaller than usual, so I was able to get about 4 dozen from this recipe. 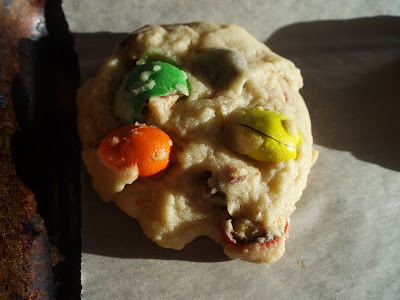 I'm absolutely a sucker for any cookies with M&Ms in it!